Welcome to the start of another exciting year in Foundation Stage (FS1 & FS2) and Key Stage 1 (Y1 & Y2). 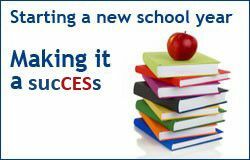 We send a very warm welcome to all our new parents joining us at CES this year and look forward to working together for the betterment of our students. For the youngest of our students, the FS environment can seem quite daunting at first but most have adapted very quickly, following our routines and expectations, so we ask parents to be patient and give their child time to get to know their teacher and their classmates. 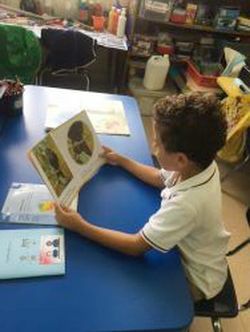 Wherever your child is in our school, many things will influence how successfully a child settles in. Every child is different and children will react to this new environment in their own way. Most children are very enthusiastic when starting the new school year and may continue to be so. 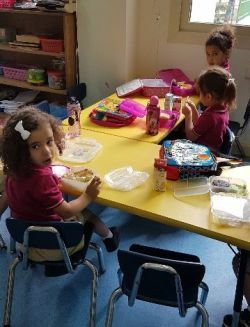 However, some children appear to lose that initial enthusiasm fairly quickly and parents of these children may become disappointed and puzzled about this change. 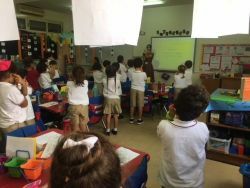 For the younger students, coming to school means making big adjustments, firstly the child has to separate from parents and family after the long holiday. They have to develop relationships with new adults. They have to mix and co-operate with a large group of children, many of whom may be strangers. They also have to manage and be responsible for themselves and their own belongings. Some children also find it difficult to get used to the change from preschool. There will be more structure to the day and, as the year progresses, they will be expected to concentrate for increasingly longer periods of time. 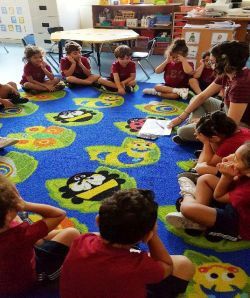 No matter which year group your child is in, there are always changes to be made; routines are different, expectations are increased and the need for independence is greater. 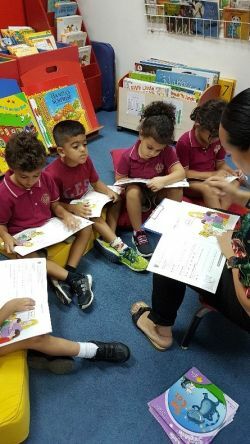 So during these first few weeks, teachers are getting to know your child, looking at how they can provide a learning environment that will nurture those changes and where their starting points are in their knowledge, understanding and skills. 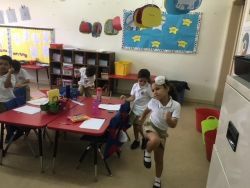 FS1 children have been participating in a Circle Time activity about identifying sounds in their environment. I am sure, as an FS1 parent, your child has come home with their 'big listening ears' recently. The purpose is to encourage children to listen to the sounds around them. This helps to develop focus and attention as well as being able to discriminate between different sounds they hear, which is a super precursor to early reading and writing. Investigating a new sensory delight with a new friend! Enjoying lunchtime with friends, eating with care and consideration of others. 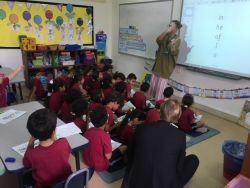 Learning how to follow along and listen as someone reads is essential. Children in FS2, are learning these important skills within small adult-focus groups. Having fun developing our fine motor skills and our hand-eye coordination, with friends in FS1! 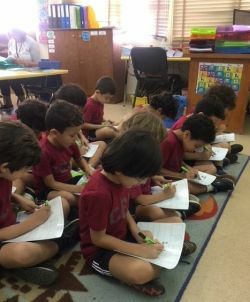 Writing our names and forming the letters correctly gives us a voice as growing independent learners in FS2! In FS2, we are sharing stories with our friends as we wait for everyone else to finish eating. 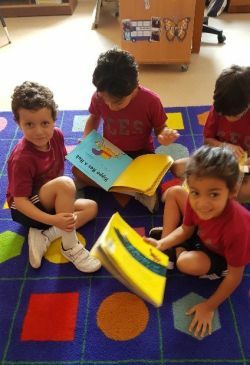 Enjoying books and sharing stories is an essential part of developing learners who are inquisitive, imaginative and independent! 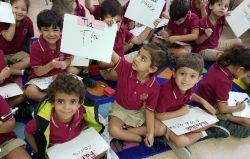 Making the transition to Year 1 involves many new experiences, people and feelings. We are so proud of our former FS2's on their entry into Year 1. They are full of smiles and confidence, questions, comments and observations. Moreover, they are so eager and ready to learn! We are looking forward to our Learning Mornings next week! morning routines with a special visitor too! Praise and encouragement is extremely important. It is not just the act of praise or encouragement, but HOW you praise or encourage that is truly important in what is effective, positive and reinforcing for your child. Keep your praise and encouragement specific. When your child draws a picture, instead of saying, "This is great," talk to your child about it. You might say, "Tell me about these stripes here - are blue and pink your favourite colours? What kind of shape did you use here?" This way you can talk and learn together, while sending the message that the picture is important to you too.